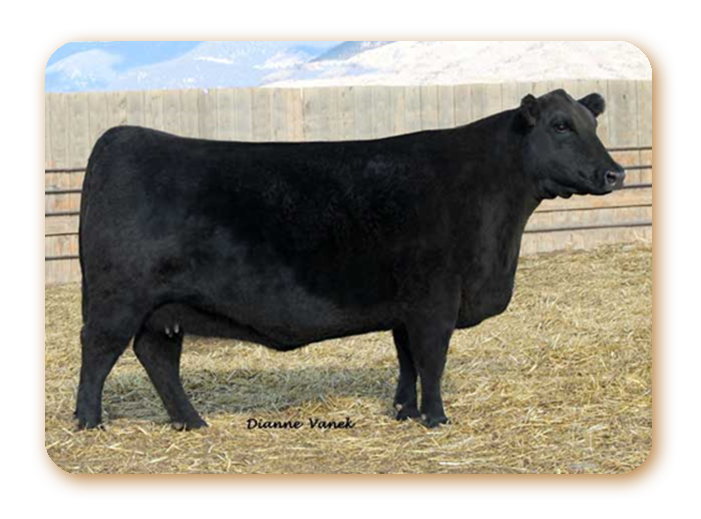 3153 is the new Split Diamond Ranch and Stevenson's Diamond Dot donor selected as the featured Lot 1 $10,000 top selling cow in the 2010 River Hills Ranch Dispersion Sale in which she recorded over $100,000 in progeny sales. Bar S Blackcap 3153 is the dam of the ORIgen featured sire, RHR Nitro. The powerful dam office a unique EPD profile for low birth at -.4 and strong RE at +.87 - very rare for such antagonistic genetic traits.